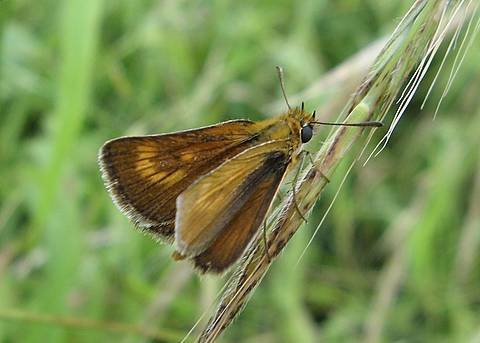 The crescent on the upperside forewings is diagnostic and more obvious in females. 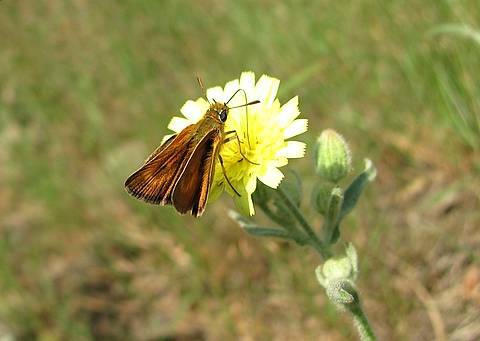 There's also a pale streak in the discal area. 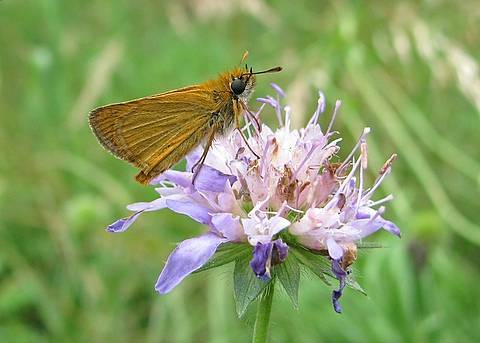 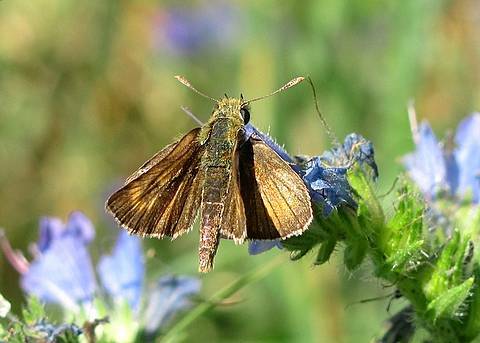 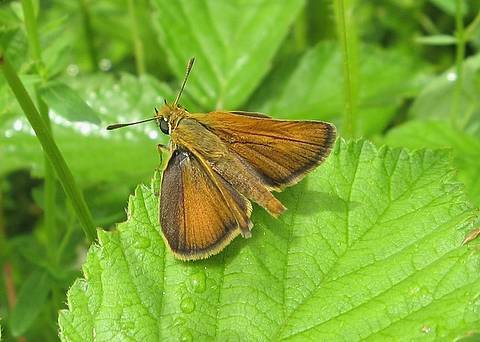 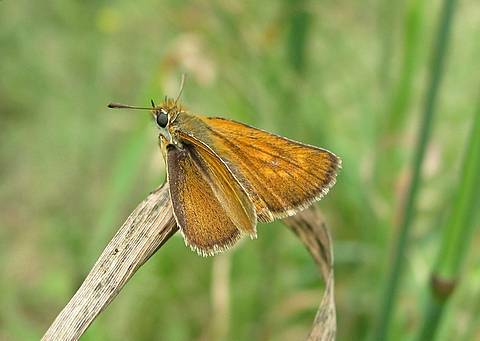 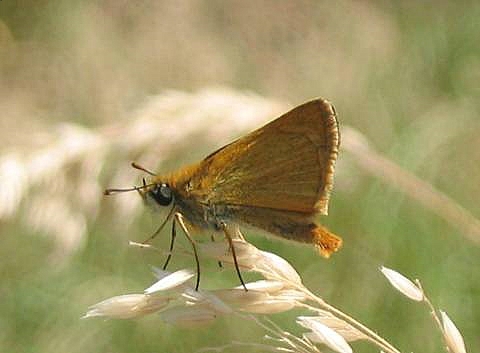 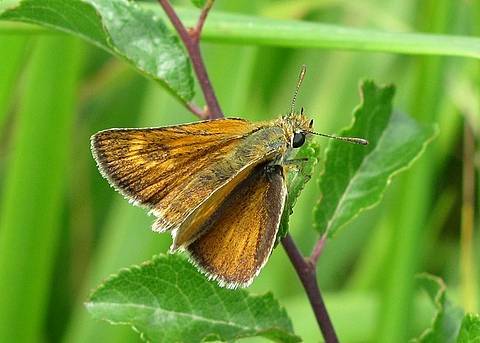 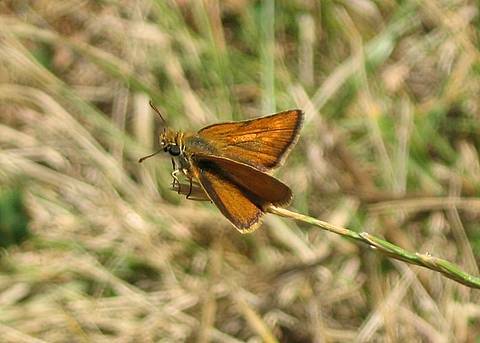 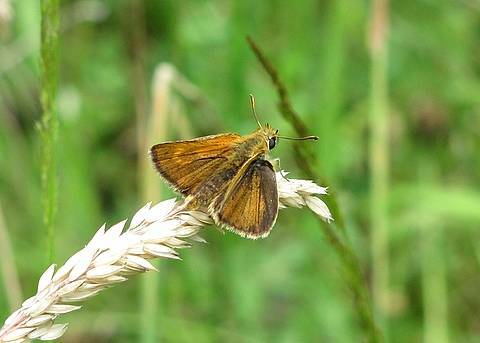 Otherwise care must be taken not to confuse the species with either Small or Essex Skippers. 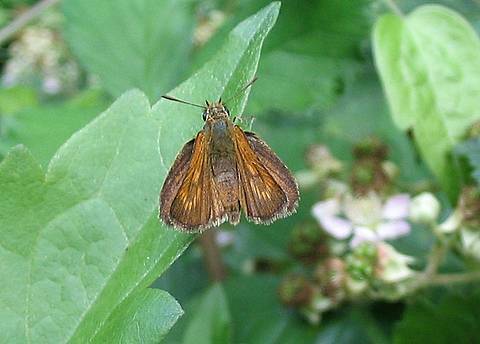 The Lulworth is, however, rather duller on the uppersides. 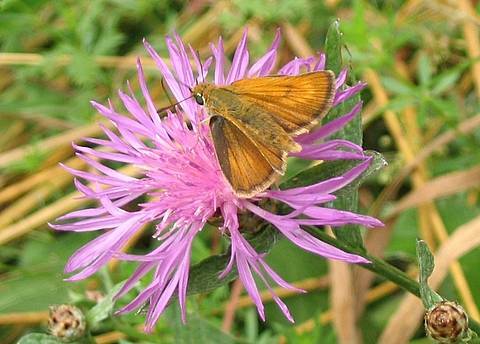 With wings firmly closed it's not easy to commit oneself to confirming the species unlesss careful, close observation is possible. 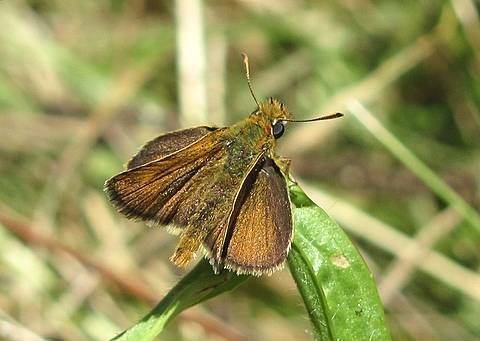 The flight is very rapid and difficult to follow like other skippers but with a little patience one can pick out the male who always returns to a nearby perch.